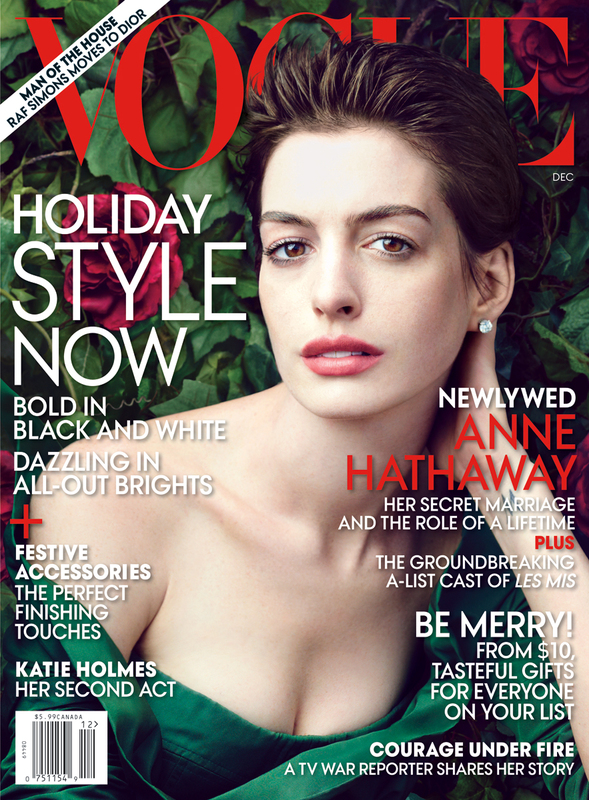 Actress Anna Hathaway wearing an emerald dress on the December issue of the American Vogue. Photographed by Annie Leibotvitz, styling by Tonne Goodman, Anne shows off her new sheared coif, cut for her role in the upcoming 'Les Misérables' film adaptation. For more pictures of Anna's shoot in the fashion magazine, click below..